Marco continue to develop their uPVC trunking range with the launch of Marco Cable Management’s new Maxi Trunking line. 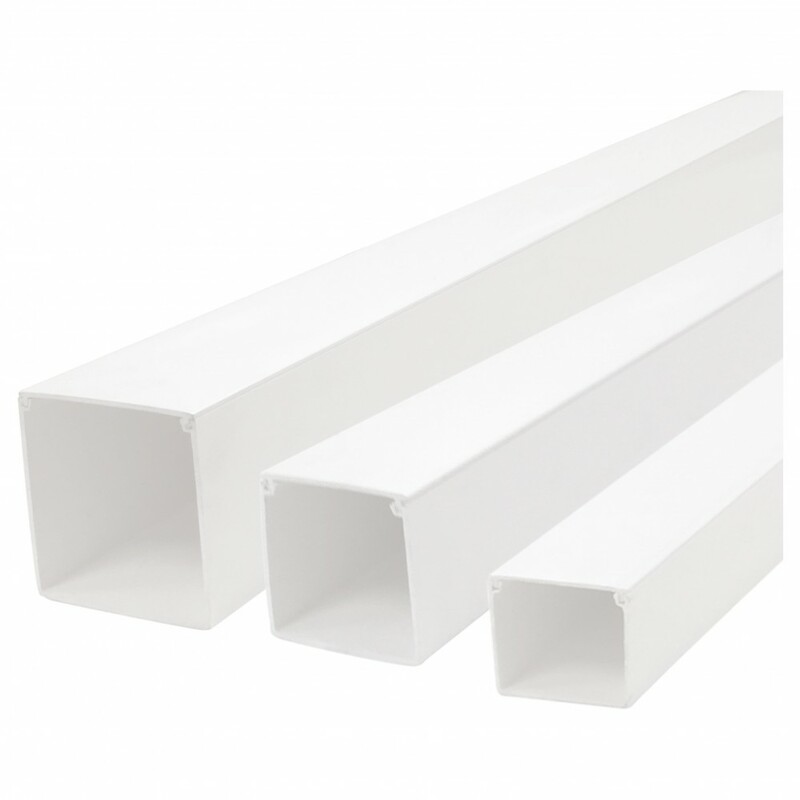 Developed to work in a similar vein to the existing Mini Trunking, Maxi has been designed with a slightly larger profile and will be available in three sizes, 50x50, 75x75 and 100x100mm. Marco’s Maxi trunking is set to fill the gap left in the Marco range, sitting between the current mini trunking range, and the single compartment Juno Trunking. The range will be supported by a large suite of moulded fittings, including internal and external angles, flats and tees. As a direct response to consumer demand, Marco’s Maxi trunking is set to be welcomed by contractors and consultants alike who are increasingly utilising the smaller profile trunking for use with low density power and data cabling. John Heaton, Sales Director for Unistrut Marco explains: “The Maxi Trunking is an important addition to our range that will support our customers’ during installation where containment needs are minimal or on projects where space is at a premium, a challenge many contractors are increasingly seeing on site. For more information on Marco's Maxi Trunking, contact our team today.